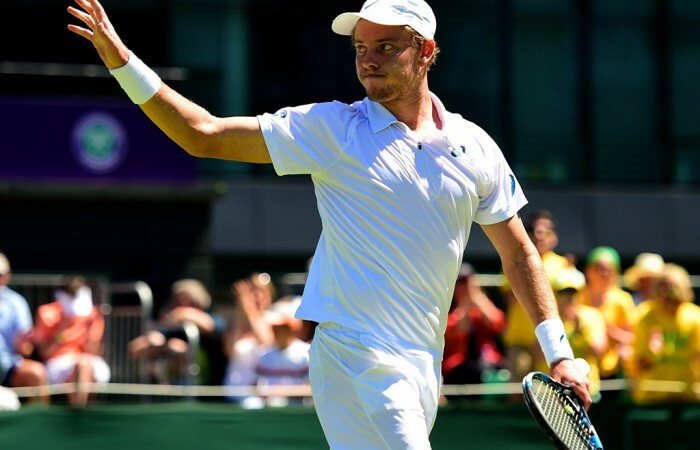 Wimbledon housemates James Duckworth and Sam Groth have set up an all-Australian second-round showdown after scoring breakthrough victories at the All England Club. 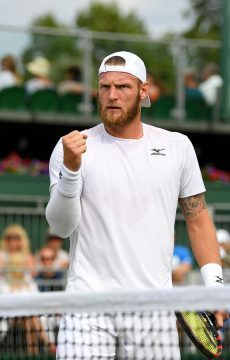 Groth nailed 16 aces to upset American 31st seed Jack Sock 6-3 3-6 6-3 6-3 for his maiden main-draw Wimbledon win after Duckworth reached round two for the first time with a fighting 7-6(2) 6-2 3-6 3-6 7-5 victory over Tunisian Malek Jaziri. 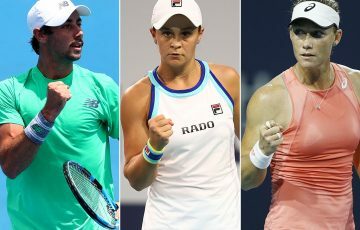 The pair will stoush on Thursday, with the reward a big one – almost certainly a Centre Court duel with No.2 seed and seven-time champion Roger Federer. 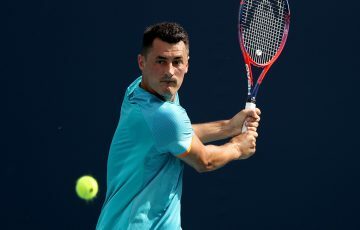 “Trying not to think too far ahead but it would be an unbelievable experience of playing Roger Federer, hopefully on Centre Court,” Groth said. Much nicer than Groth suspects things will be around the digs he and Duckworth – who also both coached by Ben Mathias – share at nearby Wimbledon village. “It’s interesting. 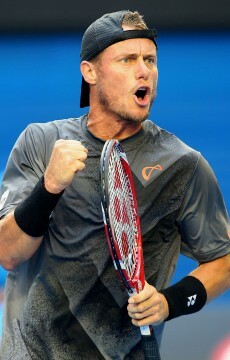 It could be a bit tense in the house the next couple of days,” Groth said. “We travel together, we practise together and we’re good mates so in one way it’s great there’ll be an Aussie in third round. After qualifying last year, Groth and Duckworth both gained direct entry in 2015 after making significant rankings strides over the past 12 months. 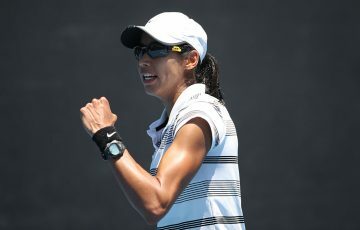 Duckworth’s success on Tuesday also buried some Grand Slam demons after the 22-year-old suffered a gut-wrenching first-round loss from two sets up against Italian Andrea Arnabo. Duckworth squandered a match point in that defeat and dubbed it the worst experience he’d endured on a tennis court. 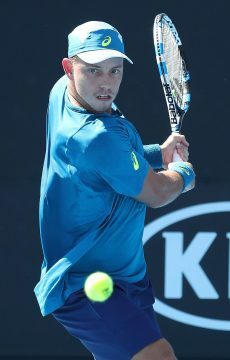 His good mate Lleyton Hewitt was on hand as he overcame the disappointment of dropping the third and fourth sets against the higher-ranked Jaziri to give himself an opportunity to live out a lifelong dream against Federer.